The Hotel de Mougins is ideally located near a big forest, and one minute from the prestigious Cannes Mougins Golf Club. Cannes, with its famous Croisette and Palais du Festival, is only ten minutes away. 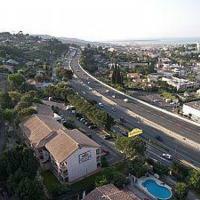 Furthermore, the Hotel is close to Sophia Antipolis Technopole, and 16 miles from Nice, with its International Airport. Looking out over the lovely garden and swimming pool from your balcony or terrace, the Hotel de Mougins invites to enjoy all the comforts of a four star hotel. This 4-star deluxe hotel is located in the heart of a large private estate in Mougins. It offers access to the practice range and to the exclusive spa. Guests can also enjoy the outdoor pool with furnished terrace and fitness center. Each air conditioned suite has modern décor featuring a balcony with a view. They have a fully equipped kitchen, satellite channels on 2 flat-screen TVs, a sound system and an iPod docking station. All the rooms can be converted into several rooms with leather-covered sliding doors and the bathrooms feature a rain shower. The rooms have direct buggy access. The restaurant serves gourmet cuisine. Guests can dine in the fine restaurant or on the furnished terrace and enjoy a drink at the hotel’s bar. Free private parking is provided. It is ideally situated only 10 minutes from Cannes Croisette and its festivals, and close to Nice Côte d’Azur International Airport. Located between Cannes and Grasse and at just a 10-minute drive to the beautiful beaches, this small and unpretentious resort is the perfect year-round vacation destination. Guest accommodations are modern and comfortable. All apartments face northeast that allows for bright sunlit rooms throughout the afternoon. All of them are equipped with modern private bathrooms including a complete kitchen pack. The restaurant Bistro21 provides quality food in a friendly and peaceful setting. Enjoy French and international cuisine. There is also a bar where you can enjoy a relaxing drink. The resort is close to the coast and only a one-hour drive from the ski resorts in the Southern Alps. Le Club Mougins also offers a wide selection of recreation facilities. Located at Mougins in a 10 acre garden, on the heights of Cannes, the hotel Le Mas Candille is a luxury hotel ideal to relax. The hotel has 46 rooms and suites, personalized and decorated with refinement. All the rooms come equipped with cable TV, DVD and CD player, access to Internet, bathrobes, hairdryer, minibar, safe and telephone. Some rooms have balconies or patios. The hotel features a gourmet restaurant, a summer pool-side restaurant and 2 swimming pools open in season. The Spa offers beauty treatments, a hot tub, a fitness area and a sauna. The hotel offers an exceptional individual service such as a room service 24 hours, a service of laundry, a video library. The Belvedere is at the foot of the medieval village of Mougins in the south of Provence, only 4 miles from the center of Cannes. The A8 highway is only 165 ft away. Set on a hill in a charming village, Hôtel Belvedère features traditional Provencal cuisine, and 55 air-conditioned, soundproof and fully-furnished rooms. Some come with a mezzanine for children. The Palais des Festivals on the Croisette is only a 10-minute drive away and you can also find numerous beaches in the immediate vicinity. Les Mas du Grand Vallon - Hotel et Golf Resort is located at the edge of the prestigious Royal Mougins Golf Club, 5 miles from Cannes. It offers air-conditioned rooms and suites and an outdoor swimming pool. Guest rooms at the Mas du Grand Vallon – Hotel et Golf Resort have satellite TV, free Wi-Fi and a private bathroom with bathrobes and slippers. Some rooms also have a kitchenette and a living room. All of the suites have a private terrace that has views of the outdoor swimming pool or the golf course. The Hotel's Mediterranean restaurant serves local specialties and drinks are available in the bar. Some of the attractions in the surrounding area include the Plage du Martinez, Le Croisette Casino Barriere de Cannes, Musee de la Mer and Iles de Lerins. Moulin De Mougins is set in scenic Provencal grounds, a 10-minute drive from central Cannes. It offers luxury air conditioned guest rooms with a flat-screen TV and free Wi-Fi in each. The Moulin’s restaurant, run by chef Sébastien Chambru, offers Provencal cuisine with inventive touches. Guests can enjoy meals and drinks on the hotel’s patio and on the grounds. The Mougins Golf Course is a 5-minute drive from Le Moulin De Mougins and Saint Paul de Vence is just 20 minutes away, where guests can visit the Fondation Maeght Museum. This hotel is located 7 km from Cannes, a perfect starting point to discover the French Riviera. It offers guests an outdoor swimming pool, tennis court and free Wi-Fi. La Lune De Mougins provides rooms decorated in the Provencal style. 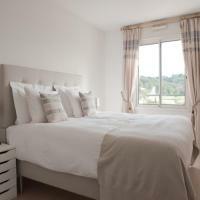 Each soundproofed room has tea and coffee making facilities, flat-screen TV and a balcony. The suites have a private terrace. Most rooms and suites overlook the garden or have a swimming pool view. 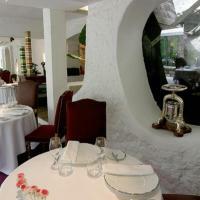 La Lune De Mougins - Hotel & Spa’s restaurant serves traditional local cuisine. Guests can have a relaxing drink at the bar or play some table tennis or billiards. It also has a Spa Centre. La Lune provides a 24-hour front desk, laundry service. Set in a 3000 m² park with a swimming pool surrounded by sun loungers is this 3-star hotel in Mougins, built in 2011. Mougins Golf Country Club is located just 850 m away and Saint Donat Golf Country Club is 5 km away Free Wi-Fi and an LCD TV are provided in the air-conditioned guest rooms. 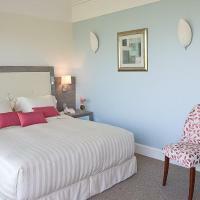 Each room has direct access to the garden and views of the garden or swimming pool. Some of the rooms feature a private terrace. Enjoy a buffet breakfast every morning in the breakfast room or next to the swimming pool. Cannes is just 7 km from the hotel and Nice Airport is a 20-minute drive away. A shuttle service is available upon request and parking is free on site. With an outdoor swimming pool and a garden, this guesthouse is located 4.2 km from the centre of Mougins. 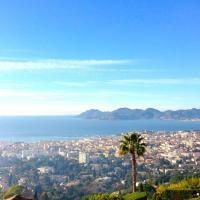 It is situated 4.9 km from Cannes Train Station and 700 metres from the A8 motorway. Equipped with free Wi-Fi and a flat-screen TV, rooms have a modern decor. Most of the guest rooms offer a view of the surrounding gardens and a kitchenette featuring a fridge and microwave. Breakfast is served each morning at Parfums d’Azur. In the evening, guests are invited to enjoy a shared meal with their hosts, offering traditional French dishes, available upon reservation. During their stay, guests can relax in the guesthouse’s 600 m² garden or on the shaded terrace. Free public parking is possible on site at the guesthouse. This air-conditioned hotel is in a Provencal house at the foot of the perched village of Mougins, 2 km from Mouans Sartoux Train Station. Set in a garden, it offers a terrace, outdoor pool and rooms with free Wi-Fi. All guest rooms at Hôtel Les Liserons de Mougins are air conditioned, non smoking and have an en suite bathroom. Each room is simply decorated and includes a TV. Each morning you can order a buffet breakfast in the breakfast room. You can play a round of golf at the Royal Mougins Golf Club or the Cannes-Mougins Country Club, both 3 km away. Located between Cannes and Grasse, 9 km and 11 km away respectively, this hotel is 5 km from the A8 motorway. Nice and its airport is 33 km away. Located in Mougins, a 10-minute drive from Cannes and the sea, this B&B offers an outdoor swimming pool with sun beds, a shaded garden and a terrace. The restaurants, shops and art galleries are 100 metres away. With a garden view, the bright rooms at La Colombe include a private bathroom with shower and a desk. Rooms’ guests benefit from a summer kitchen in the garden, where they can organise outdoor lunches. The studio also features an equipped kitchenette and a dining area. A continental breakfast is served every day and many bars can found in Mougins city centre, which is less than 100 metres away. Cannes’ beaches and the Train Station are 9 km from La Colombe while Grasse is 12 km away. Nice Airport is 30 km away and the A8 Motorway access is a 5-minute drive away. The Villa Stephanie features spacious guest rooms with sea views in a large villa located 2.5 miles from the center of Cannes and its beaches. The villa features an outdoor swimming pool, which is covered and heated in the winter. Each air-conditioned room has a flat-screen TV and a private bathroom with a walk-in shower, free toiletries and bathrobes. Free Wi-Fi is available in the entire villa. A continental breakfast is served daily on the terrace, and includes homemade products. Other meals can be enjoyed upon request, and are prepared with fresh, seasonal ingredients by the hosts who are happy to welcome guests into their kitchen. Other services include massages and hair-styling. Private concierge services and vehicle rental can be organized upon request. There is free, secure parking on site, as well as 2 garages which can be used for an extra fee. Located in Mougins, Villa Shambhala offers an outdoor, seasonal swimming pool, a garden and free Wi-Fi access throughout. Cannes is just a 10-minute drive away and Antibes is 15 km from the property. Accessed by a private entrance, the room features a living area with a TV, a wardrobe and a dining area with a refrigerator and coffee machine. It is complete with an en suite bathroom. A continental breakfast is provided each morning at Villa Shambhala. Traditional restaurants can be found within walking distance. White water acitivies and hiking can be done in the area and a tennis club is situated a 5-minute walk away. Nice Airport is ideally located a 20-minute drive from the property and free private parking is possible on site. Situated a 15-minute drive from Cannes and the sea, this B&B features a well-established garden, an outdoor swimming pool and air-conditioned rooms with free Wi-Fi and private terrace. Free secure parking is provided. Opening onto the pool and the garden, each room at Domaine des Roses has a private bathroom with hairdryer and free toiletries. Homemade jams, fresh pastries and bread, hot drinks, yogurt, orange juice and fruits are proposed for breakfast. It can be taken in the dining room or in the comfort of your room. Some shops and restaurants can be found 1.5 km away. A horse riding centre, tennis court and golf course are available 2 km from Domaine des Roses. Grasse is a 20-minute drive away and Nice Airport is 25 km away. Apartment La Florentine Mougins is a part of the apartment block Le Florentine and it is located in the district of Cannet. It has an equipped kitchen, living and dining area, bathroom and two bedrooms. You can enjoy the terrace with terrace furniture. The apartment is 3 km to the sea and the beach. There is a shop at a distance of 600m, bakery at 200 m and bus stop at 100 m.
Located in Mougins, Cannes Golf Apartment is a self-catering apartment with a furnished balcony, sea views and a BBQ. Cannes-Mougins Golf Club is 5 km away and you can enjoy the infinity pool and the sauna. The air-conditioned apartment features a parquet floor, a flat-screen TV and a seating area with a sofa. The private bathroom is fitted with a shower, a hairdryer and bathrobes. A washing machine and ironing facilities are also available. You can prepare meals using the apartment’s kitchen, which is equipped with hotplates, an oven and a dishwasher. A coffee machine, a dining area and microwave are also provided for your convenience. Other facilities at Cannes Golf Apartment include a table tennis, billiards and free Wi-Fi. Free public parking is possible on site and both Cannes and the beaches are 3.5 km from the apartment. Located in the village of Mougins, a 15-minute drive from Cannes, this self-catering studio features a private, rooftop terrace with a view of the village and, further away, the sea. Free Wi-Fi access is provided. The air-conditioned studio has a dining area with an equipped kitchenette, complete with an oven, a dishwasher and a coffee machine. There is a separated bedroom area, a flat-screen TV and a desk. The bathroom is fitted with a walk-in shower. You will find a choice of shops and restaurants in the village, which is well-known for the many artists who have lived there. There is free and secure, public parking a 5-minute walk away. You can reach Grasse in 15 minutes by car. 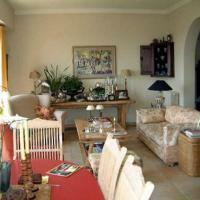 Top Apartment Royal Mougins Golf Club is a 9-minute drive from the centre of Mougins. This self-catering apartment offers free Wi-Fi and a furnished balcony. An outdoor swimming pool and a golf course are available on site. With views of the golf course, this 3-bedroom apartment is serviced by a lift and features air conditioning, a seating area and a wardrobe. There are 2 bathrooms with a bath and a shower. Guests can prepare their own meals in the apartment’s kitchen and a restaurant is available at the property, just a short-walk away. This apartment is 20 km from Antibes and a 15-minute drive from both Cannes and Nice. Free public parking is available on site and a spa is available at an extra cost. Just 15 km from Cannes and Antibes, Villa Mougins offers a self-catering accommodation with access to a shared outdoor swimming pool, 2 tennis courts sitting in a 5-hectare park. Pétanque and table tennis facilities are provided. Offering Provençal decoration, the 3-bedroom villa offers a seating area with flat-screen TV, 2 bathrooms and a furnished terrace with garden views. Guests can use the villa’s fully equipped kitchen with stove, oven and coffee machine to prepare their meals. Restaurants and shops can be found 10 km away. There are golf facilities 10 km away and Marineland is a 25-minute drive away. Nice Côte d’Azur Airport is 30 km away, while there is access to A8 Motorway 5 km away. Free private parking is possible on site. Villa Graziella is lcoated in 2 km from the centre of Vieux Mougins, in the residential district, 2 km from the woods edge, 7 km from the sea, 7 km from the beach 4-room apartment 130 m2 on two floors. 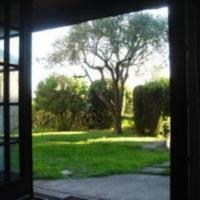 In very beautiful, enclosed grounds: 2-family house "Villa Graziella", surrounded by trees. On the outskirts, . Private: garden 700 m2 lawn and flowers. Shop 200 m, supermarket 1.8 km, restaurant 200 m, bus stop 300 m, sandy beach 7 km. Golf course 1.2 km. Please note: car essential. The town of Mougins is well-known for it's gastronomy, golf with it's swing course, but also for it's art which can be seen in studios, galleries and museums. Picturesque, medieval village with 11'000 inhabitants, on top of a hill, in a convenient position, 7 km north from Cannes, 10 km south from Grasse. In the resort: supermarket, shops, restaurant, museum.